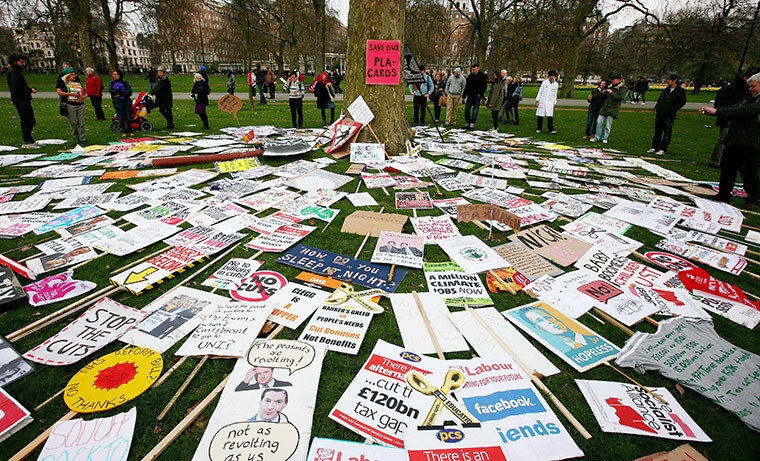 For the best part of a year, I've been involved in a project called Save Our Placards. At the second biggest demonstration ever in the UK on 26 March 2011, a group of us asked people how they wanted the Museum of London to remember the march against government spending cuts. It was an epic project. In the end, more than 400 people donated their placards, flags and costumes. Enough for an exhibition at the museum a week later. 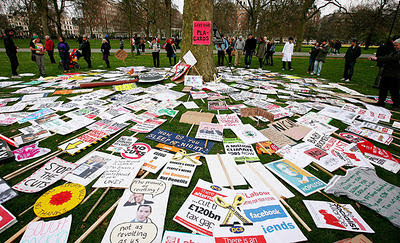 Watching the Occupy protests this week has brought back a lot of great memories of the March For The Alternative. Of the woman who gave me her "protest umbrella" on Piccadilly, even though it was starting to rain. Of seeing a man walk the length of Hyde Park to give us his TAX NOT AXE axe. And of nervously leaving a minibus packed full of angry cardboard joy on a London street overnight. As if on cue Liza, a formidable campaigner from Vermont, sent me this today ... a postcard-come-placard. 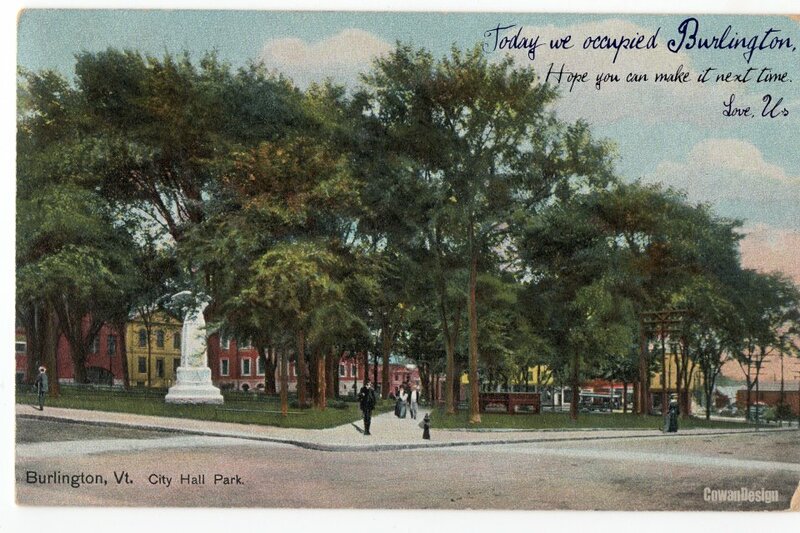 I love what Liza has done - twisting the standard lines on old postcards. 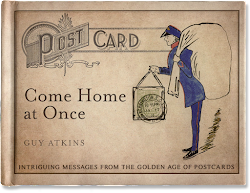 We expect nostalgia, yet we get a protestor's sting. Very clever. Thank you Liza. And a big hello to my placard partners in crime (Mark Teh, Hafiz Nasir, Svein Moxvold and Lolo Galindo) who are now spread across the globe. Wish you were here....? 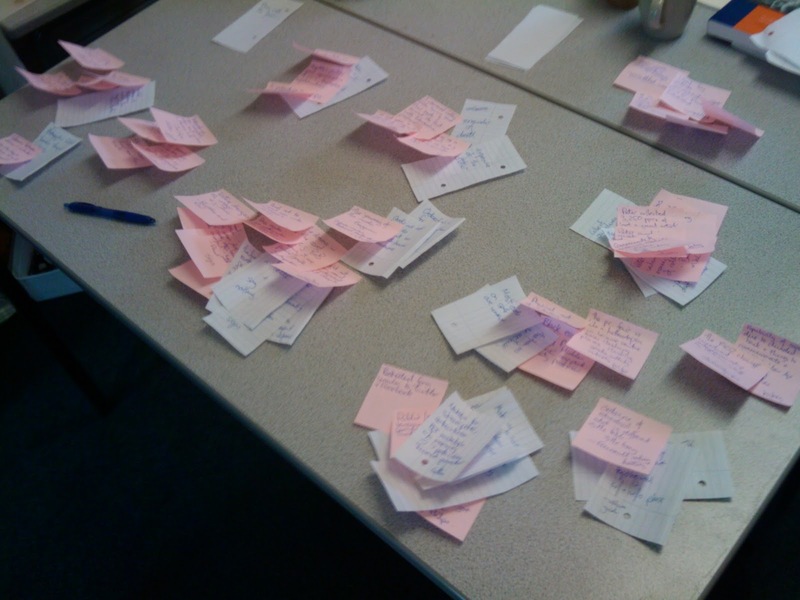 A trend for 2011 has been the re-emergence of the post-it. 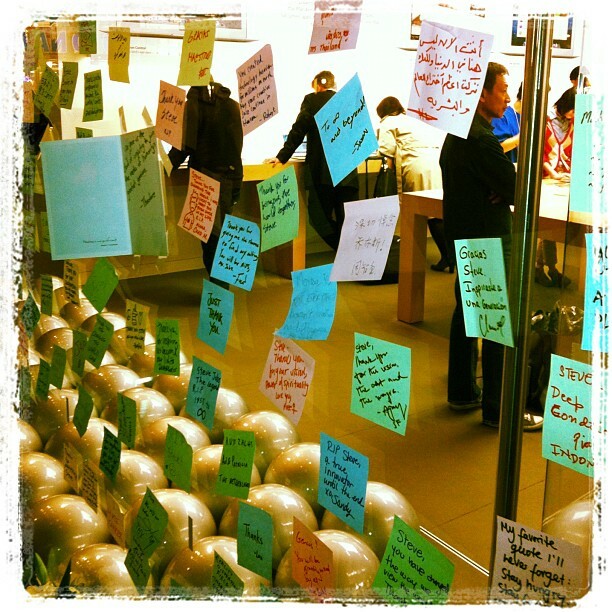 This week, at Apple stores across the world, it was the low-tech post-it note that people used to pay tribute to the hi-tech visionary Steve Jobs. 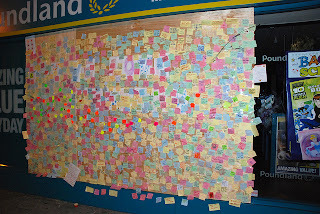 In London over the summer, we had the Peckham Peace Wall after the riots. 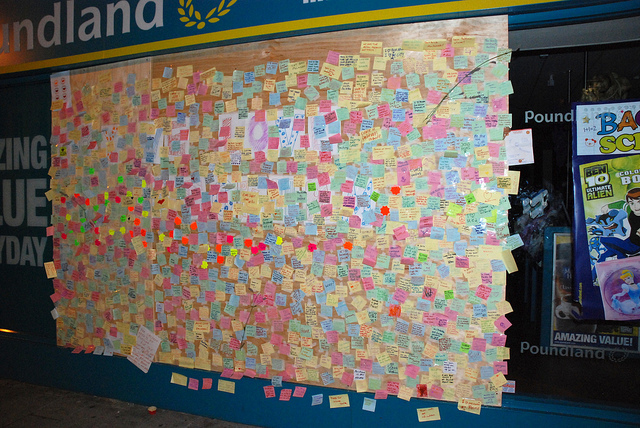 People expressed their frustration, shock and optimism on notes stuck to a boarded-up discount shop. In Paris, there was even La guerre des Post-Its. 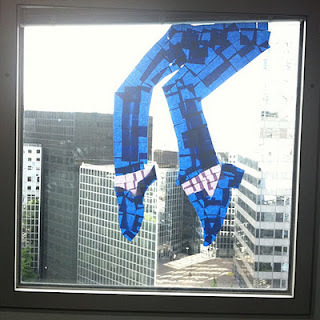 Office workers competed over who could make the best art from the sticky notes. 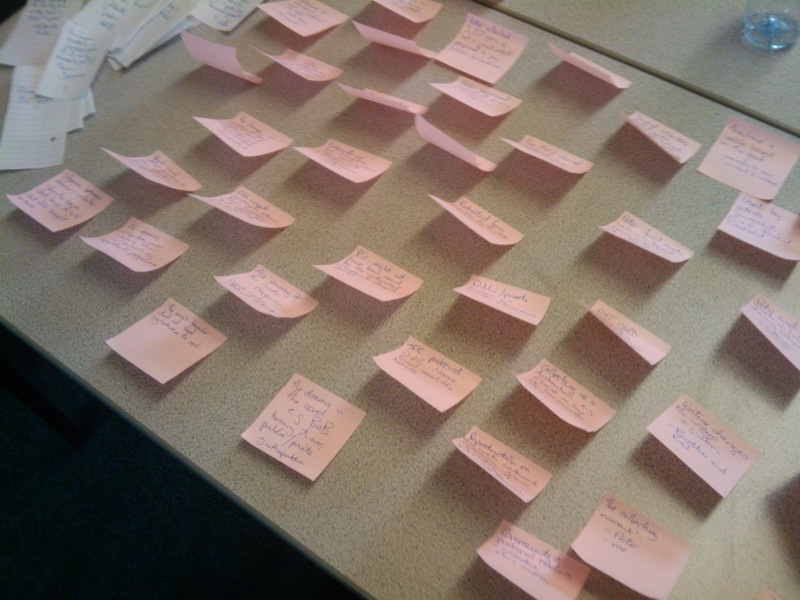 What is it about the post-it note that makes it popular now? Low-tech. Physical. Mobile. Playful. Free from rules of grammar and etiquette. Anonymous. I guess all of these. Post-Its were massively useful for me over the summer as I ordered my thoughts on old postcards for my dissertation. Not just because they were easy to move about but because they made me engage with the form - the short, written message. There's more in this... any thoughts?